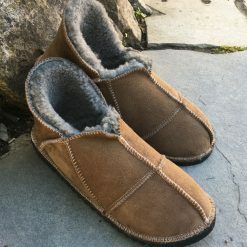 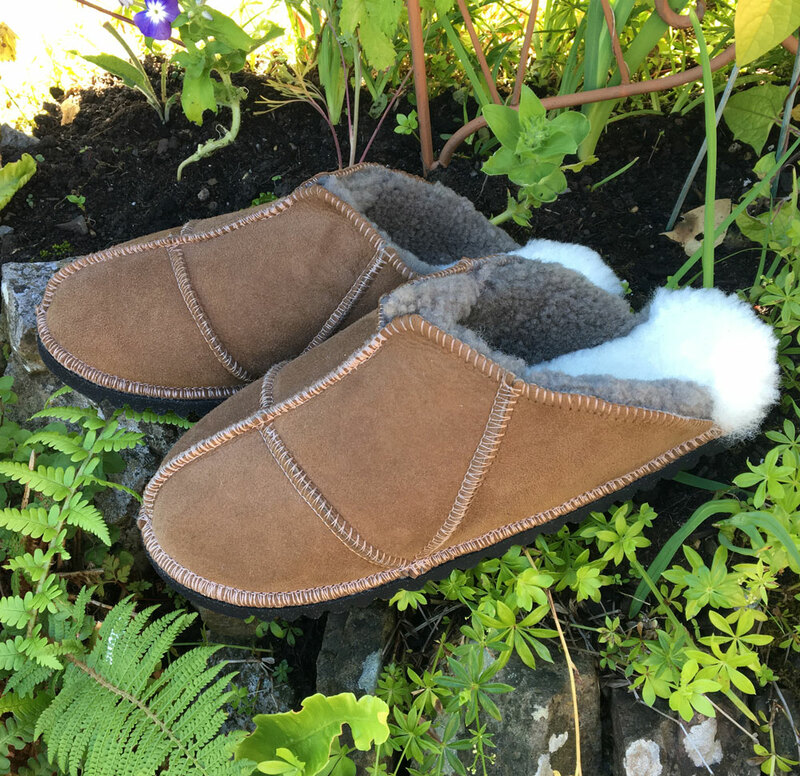 Sheepskin Slippers in mule style. 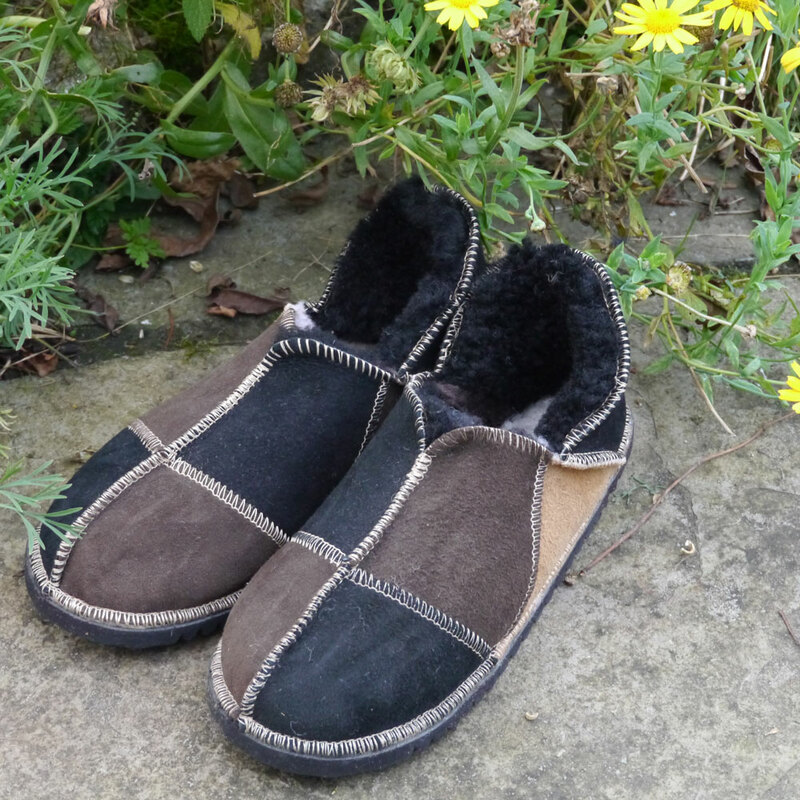 Colours: all bark with matching thread and vibram soles. 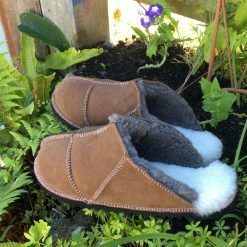 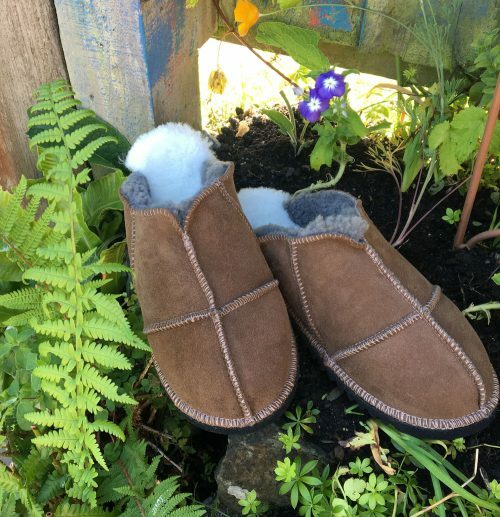 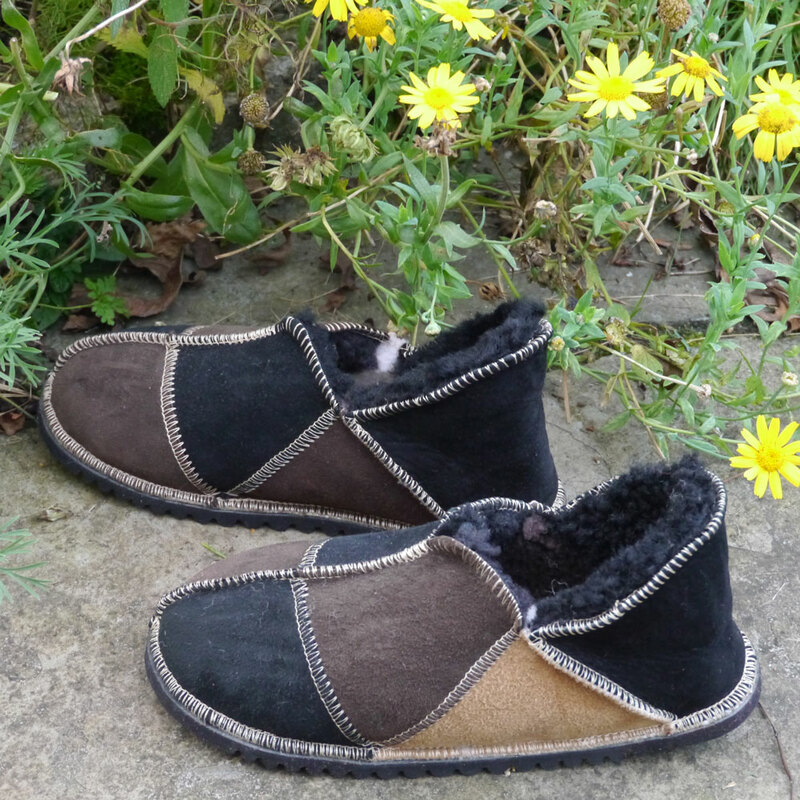 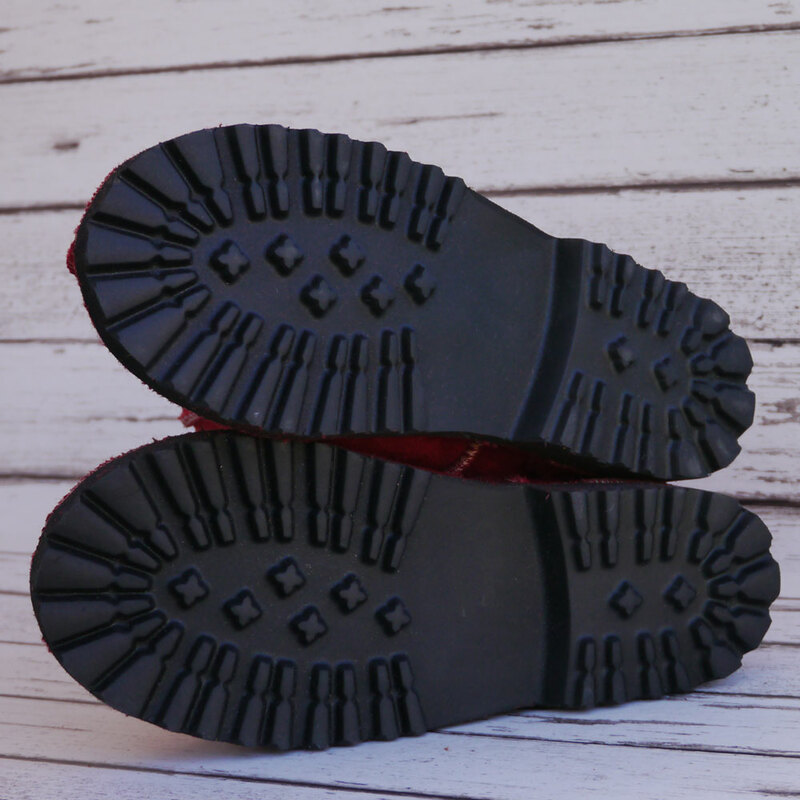 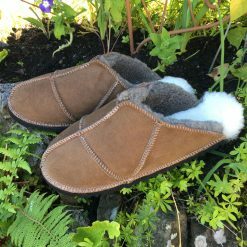 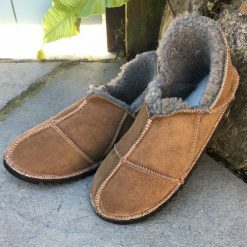 These sheepskin mules are handmade in our little country workshop in the heart of Pembrokeshire, Wales. 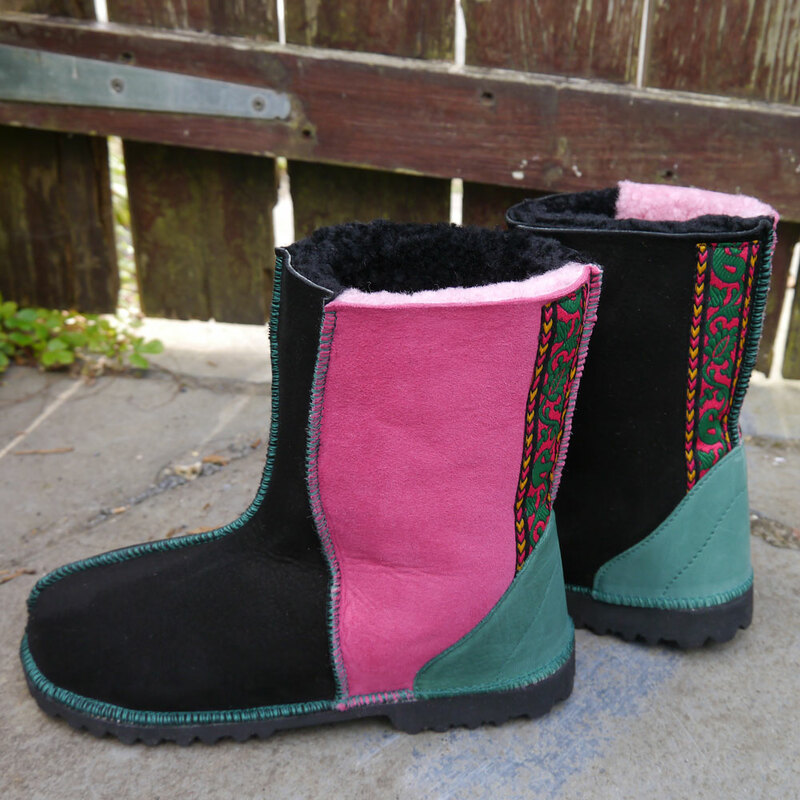 We work with a wide array of colours and threads. 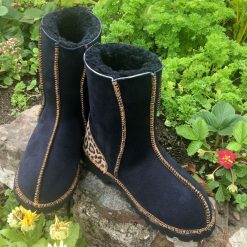 All sizes available including size 13 & 14. 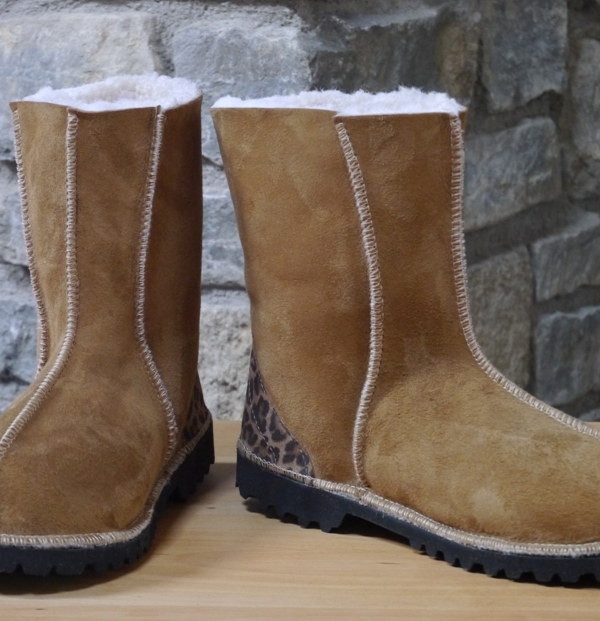 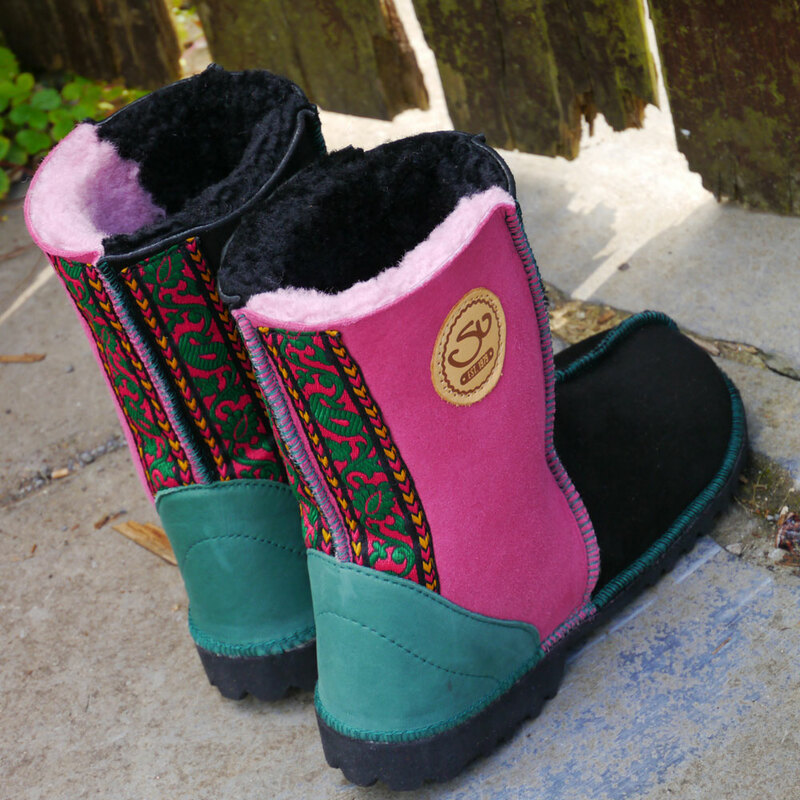 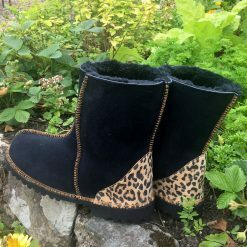 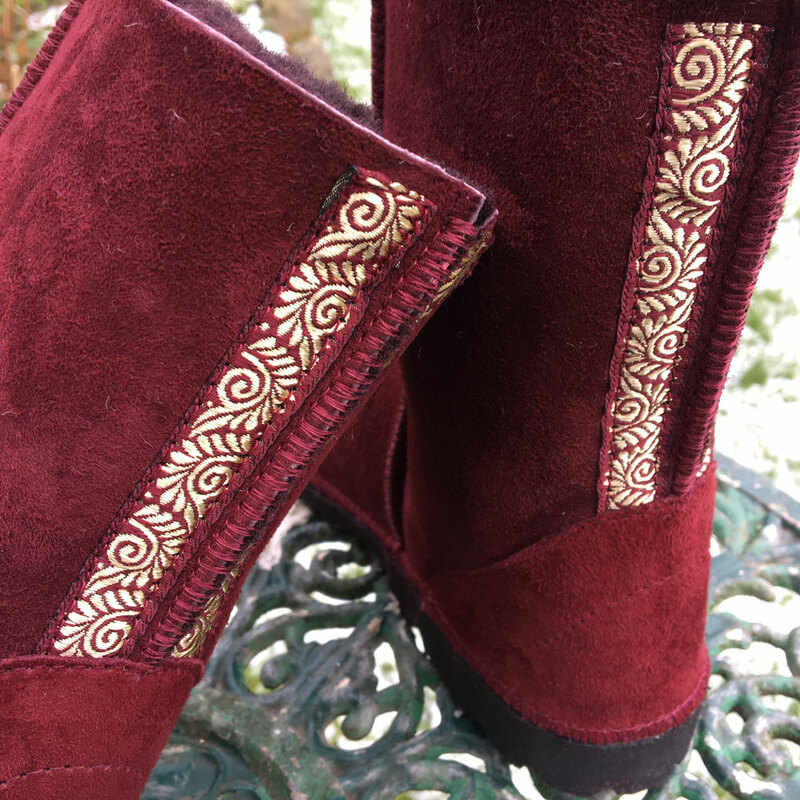 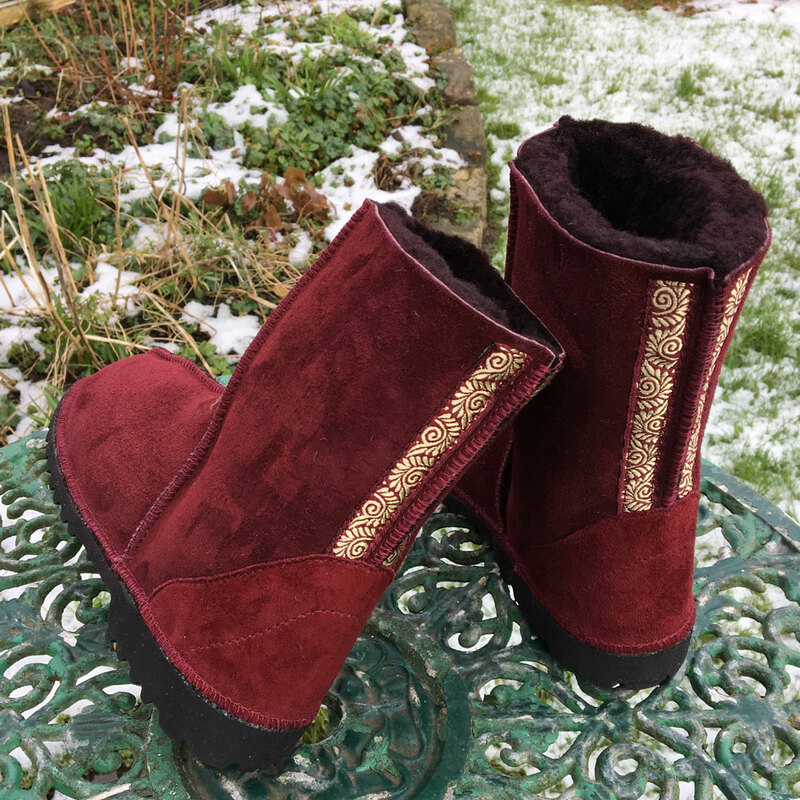 Can be made to order just give us a call or send an email: 01834 861047 | www.susiesheepskinboots.co.uk.